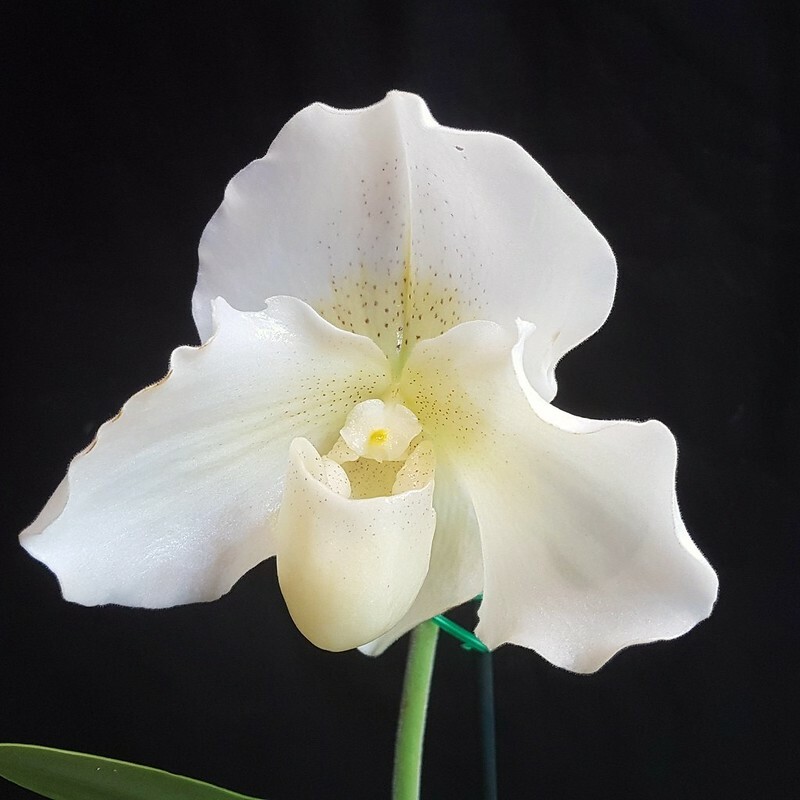 Paph. 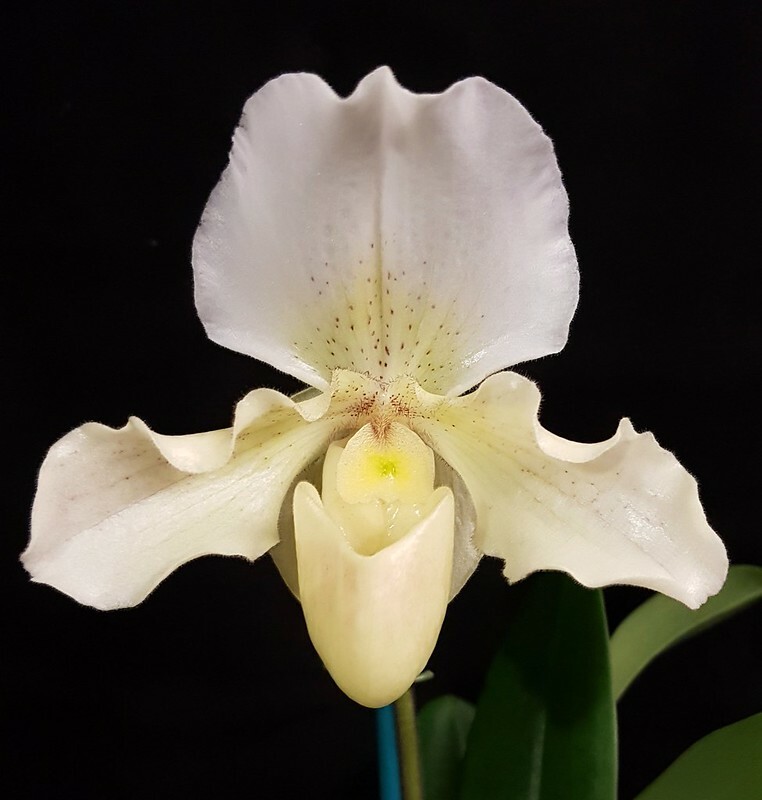 Rosy Dawn - Orchid Board - Most Complete Orchid Forum on the web ! An all time favorite of mine. 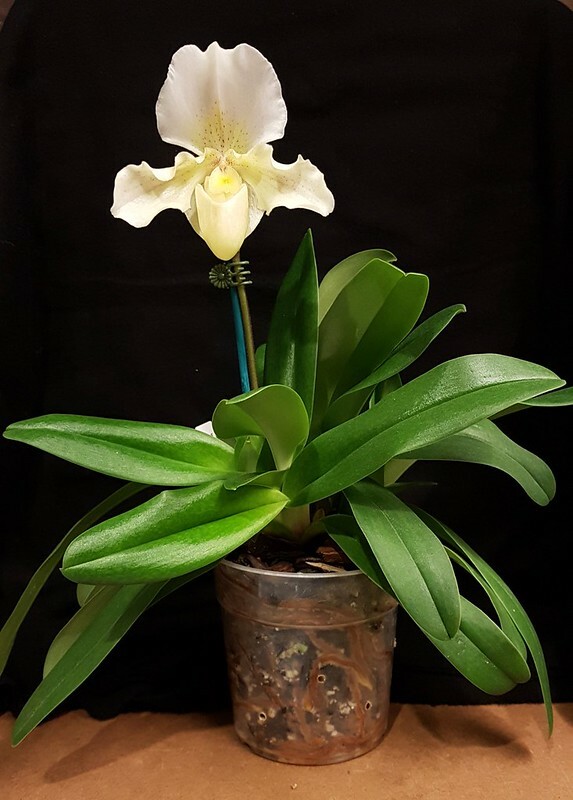 Bought in flower on February 2, and now she's back - and there's a new sheath forming a vigorous grower that has filled the pot with roots in no time. While we're at it - full body shot. She grows roots and new shoots like nothing else I have. Yours is absolutely beautiful. I may have to get another. Thanks. And she has three spikes again now. Some of my paphs are phenominal when compared to my other orchids. This is gorgeous. I have been really wanting to get a white (ish) bulldog. Maybe this is more what you want them. Larger, more full shape.